While digital adoption has been part of the strategy of BFSI GICs for some time, its broad-based emergence in the past few years is offering a new and powerful tool to the GICs to create compelling avenues for next wave of productivity and value addition for their parent enterprises. 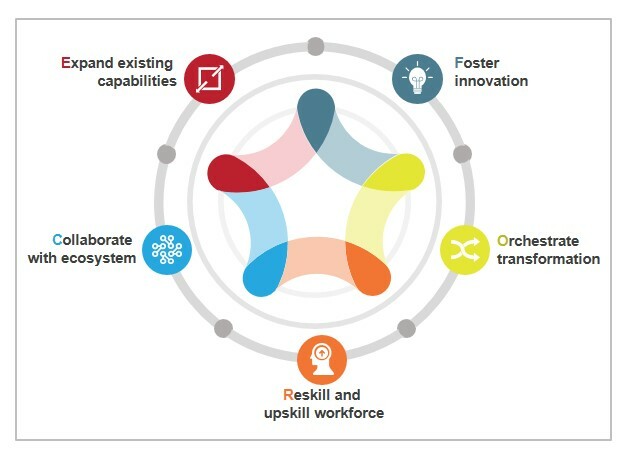 Digital adoption not only holds the promise of providing unique opportunities to transform low-value work for GICs, but also offers new ways to generate higher-value activities and drive innovation. During 2015-2017, GICs, especially in the BFSI vertical, have made multiple rounds of investments to embrace digital technologies, recalibrate talent models and foster a culture of innovation in their organizations. This report looks at the evolution of their journeys, current state of digital adoption, key challenges faced and best practices adopted. The report would assist BFSI enterprises and GIC leadership to understand the next wave of opportunities offered by this disruptive wave of digital services and associated challenges faced by peer GICs.